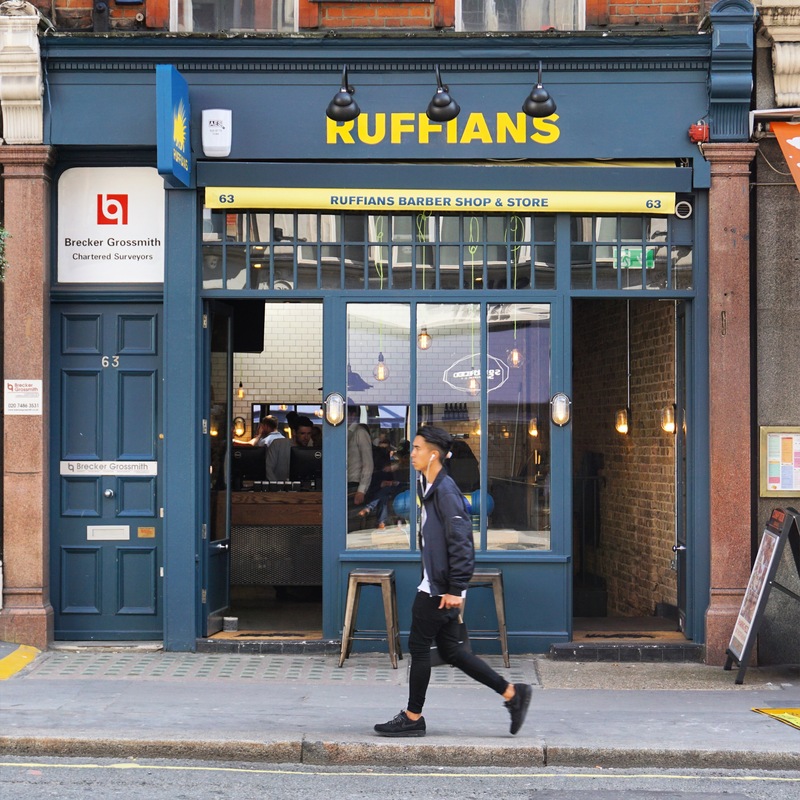 Recently, I have been to Ruffians, a newly opened barber shop in the very posh and trendy neighbourhood of Marylebone to have my first experience of a barbershop in the UK…and actually my first experience in a barbershop at all! The reason why I have never been to a barber shop before is simply because this type of establishments are not very present in my hometown, Paris. We do have a lot a hair salons but it’s just a completely different atmosphere. Some places in Paris have started to develop a more hipster-kind of ambiance but those places still represent a minority in the fashion capital. I was very happy and a little bit nervous I must say to leave my hair to somebody I didn’t know, in a country where I wasn’t sure I can actually explain what I exactly wanted and come on, with my type of -undefined curly, frizzy, not to far away from afro but still not quite the same thing- hair, the challenge was pretty high! But to be honest with you, at the moment I sat down in the vintage chair they have in Ruffians (which are authentic vintage chairs by the way!) I was totally relieved. Josh, who took care of me the whole time, and when I say that, I mean more than one hour ( Believe me I was surprised also that somebody could actually spend so much time on my hair!) really did an amazing job. He asked me many questions and was able to see things that many hairdressers never pointed before. And after one hour of shaving, adjusting, cutting and whatever magic Josh is capable of, I was out with a new haircut perfectly executed. What I also liked about Ruffians is that the interior was exactly what I was hoping to find in this type of barbershop. Influenced by the identity of the trendy neighbourhood of Marylebone and at the same time surrendered by vintage hipster vibes, the interior was designed with taste. The place is really « instagramable » as well, so what could I ask for more? Thanks a lot Ruffians Marylebone for having me at your place. You guys are sure to see me back soon!